Ex-service men and women possess a multitude of skills to contribute to any organisation. 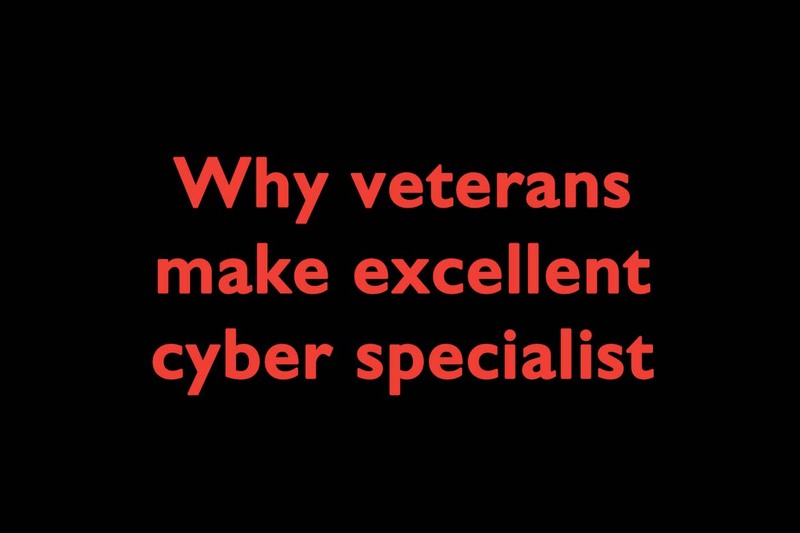 With cyber security professionals in high demand, veterans are excellent candidates to fulfil these roles. More than ever before, consumers and businesses alike are painfully aware of the high stakes associated with poor digital compliance and inadequate cyber security protections. The media have widely reported the sharp increase in serious data breaches, such as Dixons Carphone paying £400,000 in January before announcing another data breach in June. As well as facing financial penalties, organisations also risk devastating effects to their reputations. Skilled cyber specialists are key for any organisation to protect itself. There is, however, a widely acknowledged global shortage of qualified cyber professionals. Estimates predict a shortfall of 2 million trained professionals by 2019, with some believing Brexit may exacerbate the scarcity of these skills in the UK. As it stands, the country is a long way from having a reliable, highly skilled and fit for purpose cyber workforce. All the while, cyberattacks on businesses are mounting. To plug this skills gap, new initiatives are being set up to tap into and harness the well-honed skills of ex-service men and women by training them to become cyber security experts. As well as assisting the transition between military and civilian life, training provides the technical knowledge this well-adapted talent pool requires to flourish in cyber security roles. But what makes veterans so well-suited to these positions? For one, ex-military personnel respond well to training. They possess a mindset which, when presented with a new skill, sets out to learn it quickly and efficiently. Secondly, ex-service personnel are resilient to stress. With experience and training to think in terms of first, second and third order consequences, this ingrained technique allows them to efficiently assess a situation and its possible outcomes. In terms of application to cyber roles, this enables them to curtail a possible attack whilst ensuring that all eventualities are planned for. In addition, many veterans possess exceptional leadership skills which are rare in the civilian workforce. It is not uncommon for a veteran to have experience managing hundreds of personnel yet, having worked in a rigid hierarchy, still be diligent in answering to a superior. Further to this point, ex-service personnel have the personal soft skills necessary to clearly explain possible threats to somebody who has little technical knowledge. In the face of the cyber specialist shortage, UK organisations should open their minds to this demographic. Historically, veterans face disproportionate unemployment rates to those who have not served in the military. By embracing these well adapted ex-service personnel, employers can ensure their recruitment pipeline is primed for survival against a growing threat.